Tiger Shroff and Disha Patani in a still from 'Baaghi 2'. Perhaps, it’s is the best work of choreographer turned director Ahmed Khan so far. His earlier directorial ventures Lakeer: Forbidden Lines (2004) and Fool and Final (2007) sank without a trace but Baaghi 2 is a decent effort from him. 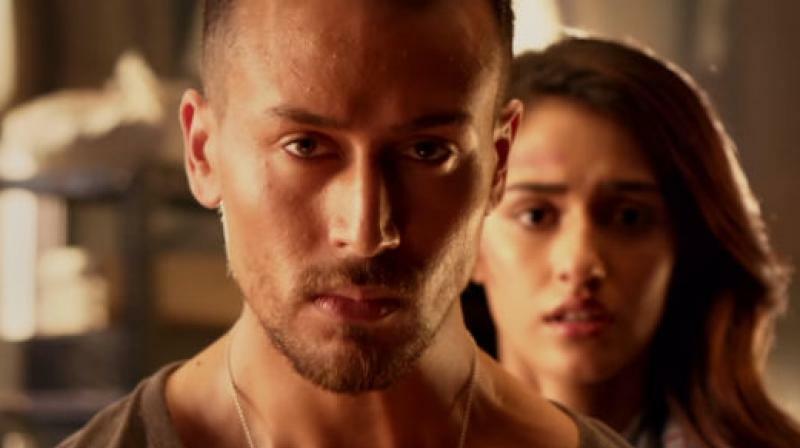 But leaving that aside, with the most obvious heroic act of the protagonist backed up with the cliche melodramatic love story, Baaghi 2 is pretentious and staged. Captain Ranveer Pratap Singh (Tiger Shroff) comes to Goa to find his ex lover Neha’s (Disha Patani) missing daughter Rhea. Married to a businessman Shekhar (Darshan Kumar), Neha lives an unhappy life with her husband and a drug addict brother-in-law Sunny (Prateik Babbar). ACP ‘LSD’ Loha Singh Dhul (Randeep Hooda) investigates this kidnapping case. DIG Ajay Shergill (Manoj Bajpayee) leads the case along with LSD, while a local car company owner Usman (Deepak Dobrial) helps Ranveer to solve the mystery. Though, the film has cliché moments throughout. A love story with 2-3 fancy songs, an item number(horrible version of Madhuri Dixit’s cult Ek Do Teen featuring Jacqueline Fernandez), piping hot stunts and unpredictable twists that are enough to cater masses but again such Bollywood films has nothing much to offer. “Aakhir ek ladki hi har ladai ki wajah hoti hai.” Wonder, it was a revenge of an army officer or a model? Watch out for Tiger’s striptease show for 144 minutes. Director Ahmed Khan bounces back after 2007 but for good. He certainly did a better job than director Sabbir Khan who helmed the first Baaghi that starred Tiger Shroff and Shraddha Kapoor. The film was a commercial hit but faced the wrath of critics. However, Baaghi 2 is no less but it surpises here and there especially at the interval. It has a mildly engaging plot and some good performances. Ahmed Khan has also designed high octane action for the film which looks unrealistic on screen. Tiger Shroff has some really good action to show in this one. With blood dripping from all over his body, the one man show is quite a whistle worthy. He has worked on his acting skills too but still a long way to go. His dance and stunts overshadows his bad acting, enough to be in a commercial league! Disha Patani looks damn pretty but her flat face doesn’t offer much. Prateik Babbar is so so impressive as a brash drug addict. He is born to do this role. You’ll see the same attitude in him of Tommy aka Shahid Kapoor in Udta Punjab. Deepak Dobrial has a short role but impresses even then in this ensemble. Manoj Bajpayee never let you down. He owns his character be it whoever. Randeep Hooda shines too bright especially with his colourful outfits, hippy styling and some funny dialogues, he is like an air of a fresh breath. Darshan Kumar is about average. He should avoid English dialogues on screen. Baaghi 2 is one of those masala entertainers that can be watched once over popcorn. A perfect massy flick away from the quality cinema.